Student life at Duke Law is centered on the shared enterprise of becoming lawyers and professionals. 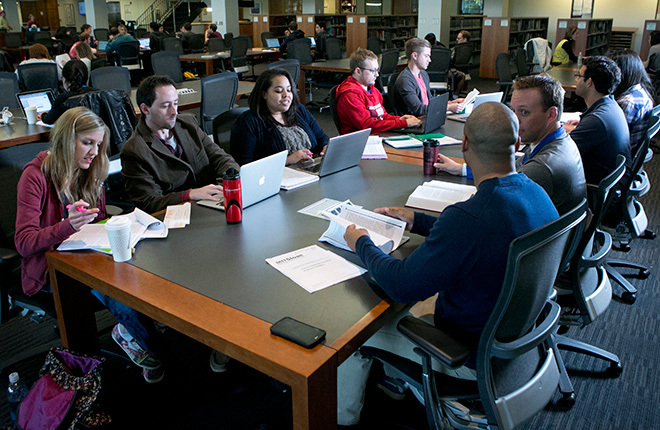 Through a variety of programs, the Law School provides support to students as they select courses, seek work and externship opportunities, serve the community, and affiliate with student organizations that will advance their personal and professional goals and create a network of colleagues and friends that will sustain them throughout their careers. The clubs and organizations at Duke Law run the gamut, from the Innocence Project to the Off the Record A Capella Group to the Intellectual Property and Cyberlaw Society. If your particular interests aren’t represented by the many groups, you are welcome and encouraged to start your own. Wyatt '19 calls for reform of statewide database that tracks alleged gang members "with little oversight and major due process concerns"